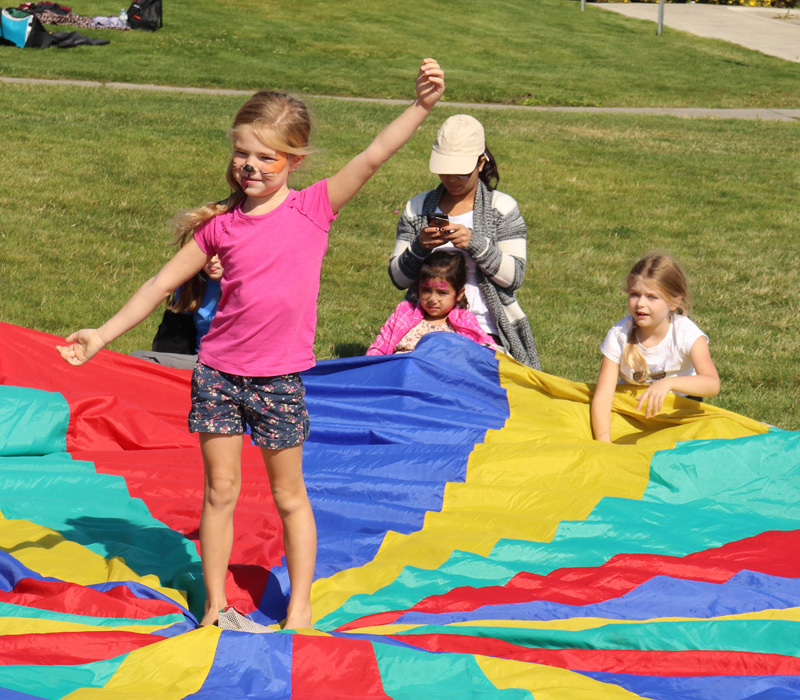 Throughout the year, the Chestermere Public Library has been hosting a variety of community wide events to celebrate the 10-year anniversary summer. 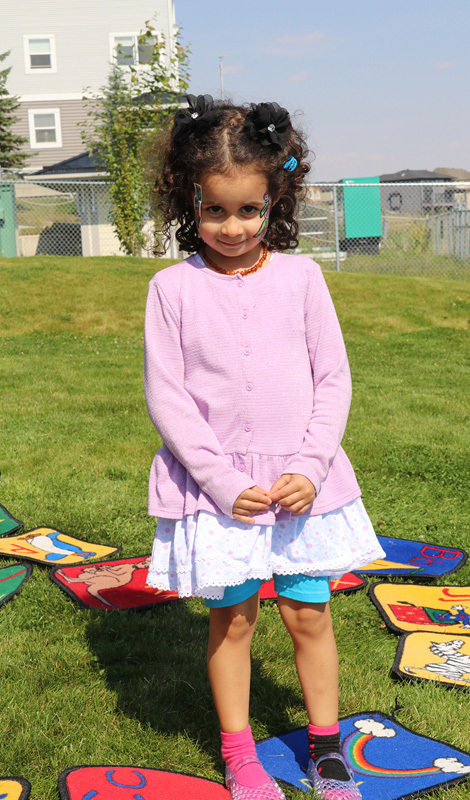 On Aug. 31, families came to the Chestermere Public Library to show their support by participating in the 10-year Anniversary Summer Round-Up Picnic. “We wanted to make it something for the children, to get them involved,” said Chair of the Library Board Marilyn King. Throughout the afternoon families enjoyed a variety of activities including story time, games, snacks, therapy dogs, face painting, and being ticketed by Chestermere RCMP for showing positive behaviour. “It really is a vibrant part of the community. That’s what the community is all about,” King said. King added, recent high school graduates from Edmonton Alta., were stopping at each library on their hitch hiking route to Ontario, came into the Chestermere Public Library and said it was the most welcoming library when had gone to so far. “It’s really cool. What we’re finding is that libraries bring people together,” she added. Vice President of Chestermere Library Foundation Maxine McKellar said she was quite pleased with how many residents came out to the Round-up Picnic. Chestermere residents realize how important the library is, McKellar said, the library is a safe, healthy, and fun place to come and enjoy an afternoon. “When you walk in it’s like a big hug. I think people sense that, and feel that, and want to come back,” she said. Although the Chestermere Public Library is a place that residents know and care about, building the library 10 years ago came with many trials and tribulations. It took the new Library Board and Library Foundation seven years to convince council building a library in Chestermere was needed, to fundraise, and to conduct numerous books sales, McKellar said. “When we started out it was all up to the Library Board and the Library Foundation to spearhead it, because the council at the time didn’t think it was a necessity,” McKellar added. “Right now, the future of the library is we’re bursting at the seams. Over 55 per cent of our population has a library card,” King said. “I’m really pleased our library is so successful,” McKellar added, “When this dream came to fruition 10 years ago I remember when we were putting the books in I just started crying because it really hit me that its really happening, and 10 years later it’s bursting at the seams. “It’s so heart-warming and it just makes all the hard work and all the tears that we went through to get it built worth it,” McKellar said.